Is the curtain coming down on plasma? Panasonic may cease plasma manufacturing in fiscal 2014. As the folks at Sharp and Pioneer discovered, sometimes having the best technology doesn’t guarantee financial success. According to both Reuters and the Japanese business paper, The Nikkei, Panasonic may have decided to begin a three-year downsizing of its entire consumer television division with plasma technology destined for the chopping block in fiscal 2014. After five consecutive quarters of losses, and projections that the once profitable segment that earned $10.5 billion in 2009/2010 would fall to less than $5 billion by the end of 2015, it doesn’t make a lot of sense that Panasonic would allow the decline to continue and drag down the rest of the company. Having already secured a deal with Sony to manufacture OLED panels, does this rumored decision portend a slow down in LCD production as well; almost abandoning the market to Sharp, LG, and Samsung? Panasonic has already confirmed that it plans on ending plasma TV panel production at its main plant in Amagasaki in 2014, and according to the Nikkei, it has already written off the value of the plant’s production equipment. Panasonic has apparently ceased research and development on the next generation of plasma TV panels; citing the inefficiency of developing both plasma and LCD at the same time when demand is shrinking both in Japan and in other markets. Another story from Reuters suggests that Panasonic may also be considering to sell-off its healthcare division to raise at least $1 billion to improve its cash flow situation. Having laid off close to 46,000 employees in the past two years alone, cutting its losses in consumer TV might be the only way for the Japanese manufacturer to save itself; with consumers being the biggest loser in the deal considering the high quality of Panasonic’s plasma HDTVs. What is clear from all of the rumors is that the once mighty Japanese manufacturer has hit hard times; you don’t cease making your best products, sell off profitable divisions, and liquidate real estate assets if you are financially sound. 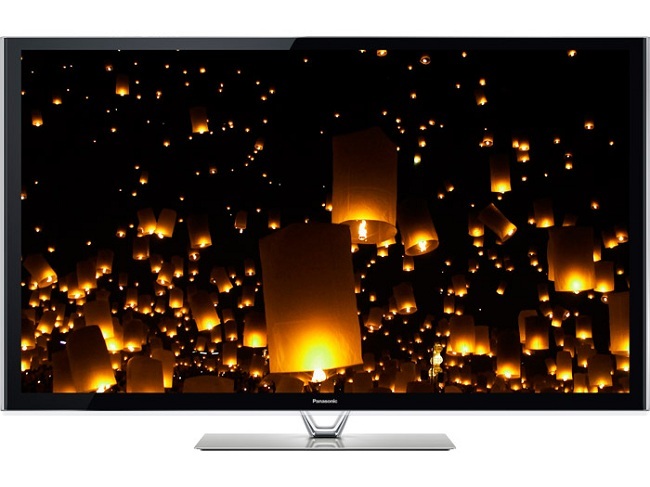 The loss of Panasonic’s expertise in regard to plasma would be a major blow to the HDTV market, especially with affordable OLED HDTVs years away at this point. How this will affect Samsung and LG who still offer plasma HDTVs is anyone’s guess, but it may be a good time to look for a bargain on one of the 2013 Panasonic Viera 3D plasmas because they may be the best HDTV the average consumer will be able to afford until OLED hits Costco.